NAGA CITY — Key stakeholders from local government, civil society groups, media, and the business sector sought to identify each other’s roles as they ventured to draft agreement through a technical working group meeting held Tuesday, January 12, at The Coffee Table, ADC Hotel in this city, in their attempt to put up a local version of disaster management alliance in Metro Naga. The activity was a follow-through of the synergy workshop held late last year through the efforts of Asia-Pacific Alliance on Disaster Management-Philippines, otherwise known as A-PAD, a trans-national disaster aid alliance that works to facilitate cooperation and understanding between governments, private companies and non-government organizations in the Asia Pacific region. 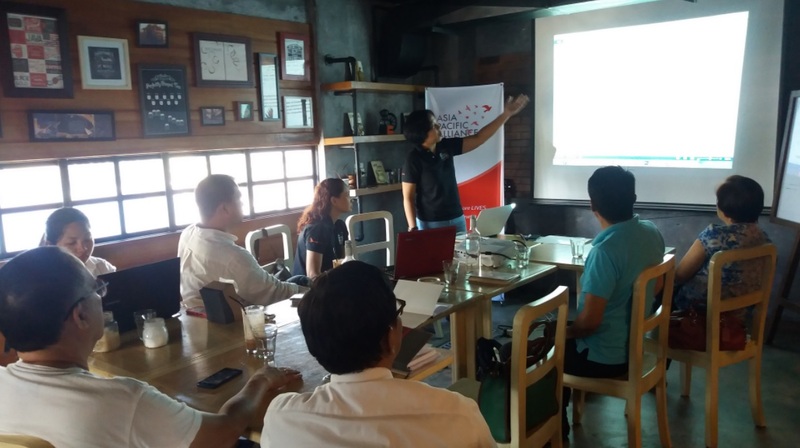 The Quezon City-based Citizens Disaster Response Center or CDRC, with its local coordinating offices in other parts of the country, including Bicol, functions as secretariat for A-PAD-Philippines. 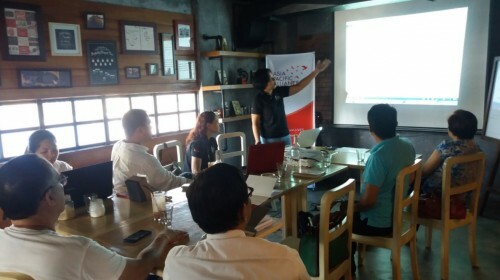 Initial members of the technical working group include representatives from Metro Naga Development Council, Mariners Polytechnic Colleges Foundation, Central Bicol State University of Agriculture, Metro Naga Chamber of Commerce and Industry and the Philippine Information Agency. CDRC also sits as secretariat for said working group. 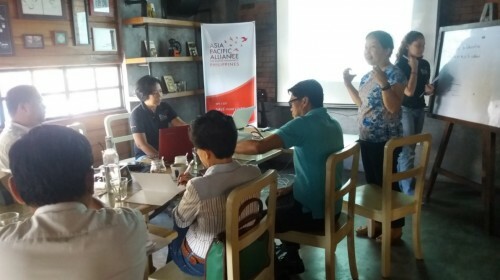 Jose B. Perez of Metro Naga Chamber of Commerce and Industry points out that the local alliance’s objectives and roles anchor on the existing programs, policies and plans of the local governments as they have the mandate and major resources in the implementation of disaster management and risk reduction measures. Other sectors will only provide support as partners of the government. Stakeholders play specific roles for the alliance to closely work with one another and sustain its existence regardless of political situation. Metro Naga Development Council and the City Disaster Risk Reduction Management Office as government representatives act as policy advocates by way of providing capacity-building trainings in community level and harmonizing the different policies, plans and programs of local government units in Metro Naga. MNCCI, for their part, must ensure price stability and commodity supply among its members, including the small and medium enterprises (SMEs), in times of disaster and help protect the consumers from those who may take advantage of the situation. They also pledged to make their resources ready for disaster rescue and relief operations and lessen the government’s burden by coming up with business continuity plans among themselves. The academe assured that local governments can tap their assistance in the conduct of research, mobilization of student-volunteers and utilization of schools as evacuation centers during calamity. Other civil society organizations like TABI and other people’s organizations will work alongside the academe and other stakeholders in awareness education, capability-building, strengthening of linkages and resource mobilization. 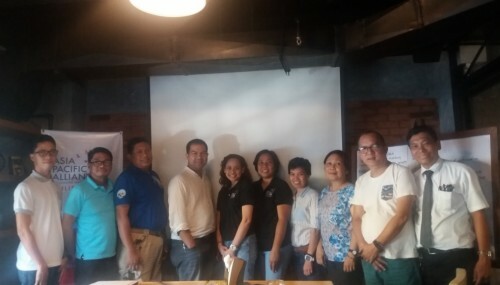 On the other hand, the media, under the stewardship of the Kapisanan ng mga Brodkaster sa Pilipinas (KBP) and the Philippine Information Agency (PIA), will provide timely information dissemination and airtime for awareness and education campaign on disaster risk mitigation. TWG members agreed to sign a covenant as their long-term commitment to the local disaster management alliance and set its formal launching through a press conference in early February of this year in this city.